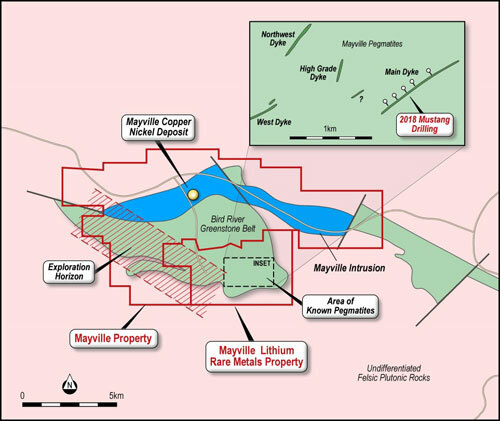 Mayville Lithium | Grid Metals Corp. 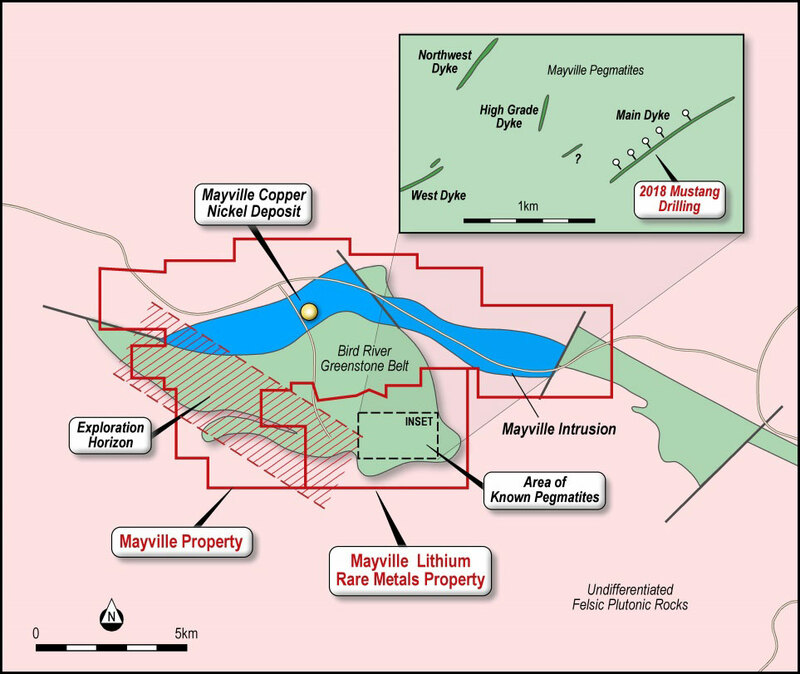 The Company's Mayville Lithium Project occurs on the north arm of the Bird River Greenstone Belt. The Bird River Greenstone Belt is also the host the world class Bernic Lake Pegmatite which hosts the Tanco Mine. Historical and current production of lithium spodumene concentrates and the rare earth metals tantalum and cesium has occurred at Bernic Lake. 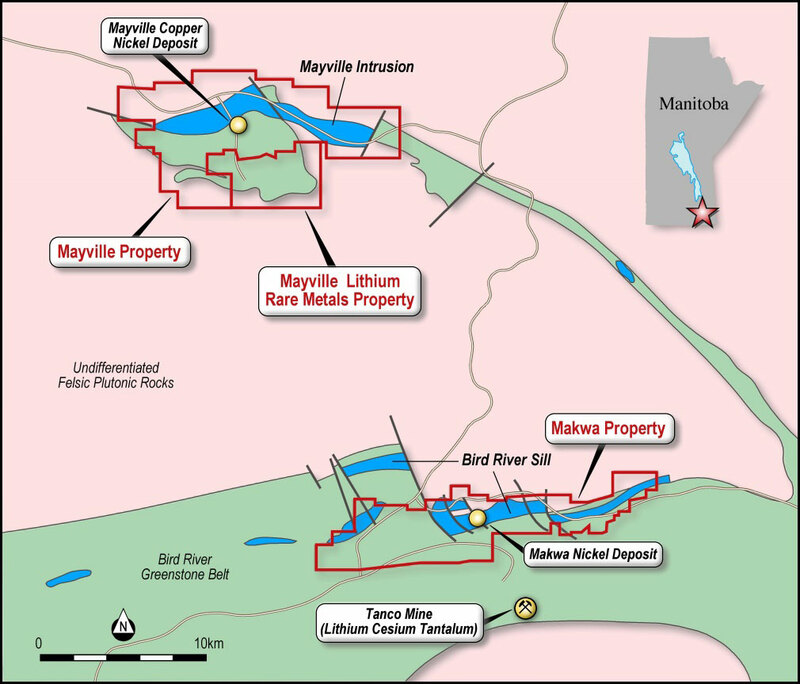 Grid acquired the Mayville Lithium project from Tantalum Mining Corporation of Canada Ltd. in 2018. ("Tanco") Tanco currently operates a mine in the area which produces cesium formate - an industrial product made from the rare metal cesium. There are four known pegmatites on the property with a total historical resource of 3.95 million tons at a grade of 1.28% Li2O 1. At least two of the pegmatites are the ("LCT") type which in addition to lithium may contain the rare metals cesium, tantalum and rubidium. The potential of the Main Dyke to host lithium spodumene that may be of "technical" grade was noted in historical assessment files and is of prime interest as technical grade concentrates generally command a significant price premium over chemical grade lithium concentrates which have higher level of impurities most notably iron. 1 Source Manitoba Mineral Inventory File #229. Resources are historical in nature and not NI 43-101 compliant. Mustang does not consider the historical resource estimate as a current resource estimate and is not relying on the historical resource estimate as a current resource estimate until such time as a Qualified Person has reviewed and confirmed the data. 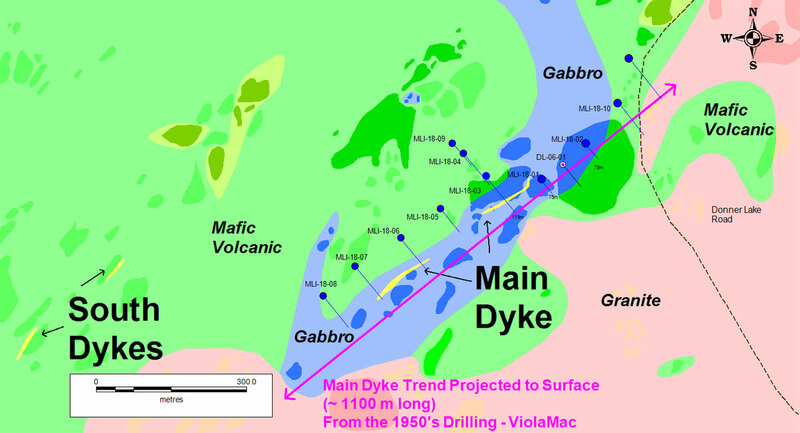 The current drill program is testing the Main Dyke which has an overall strike length of approximately 1 kilometer. To date drill results have intersected a spodumene rich LCT type pegmatite with elevated rare metals including tantalum, cesium and rubidium. The pegmatite remains open along strike to the south and at depth. Pending successful drill results Grid will follow up on the 2018 drilling by completing mineralogical studies on the spodumene samples. The next step will be to complete metallurgical tests to determine the potential for a marketable "technical grade" lithium concentrate to be produced. The recoverability of the rare metals, particularly tantalum also will be assessed. Grid is targeting the potential for high grade, high purity lithium dyke that can produce technical grade spodumene concentrate that can be sold to the glass and ceramics industry.